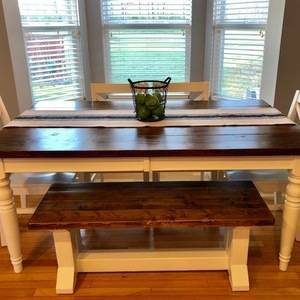 A friend of our family had an old out dated kitchen table and didn’t want to spend the money on the popular farmhouse style table. 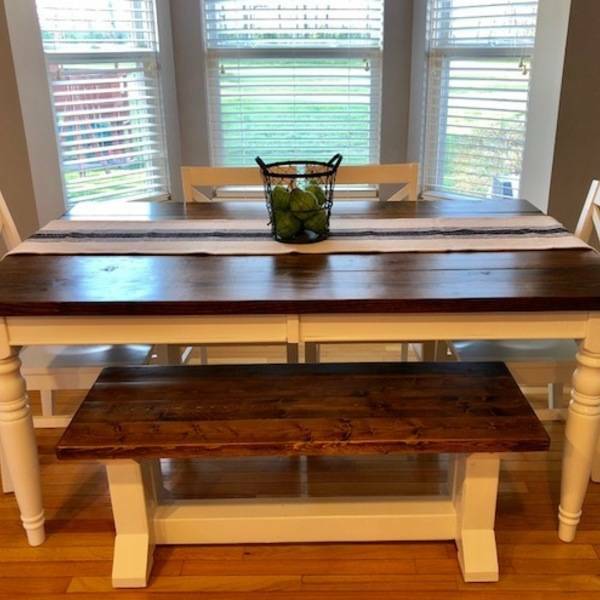 I removed the old table top and added a new one, painted the base white and built a new bench to match! It added a nice new look to their kitchen. So nice! We like the size and look of this a lot! Wonderful work!